You have been ill for four days with chills, nasal congestion, sneezing and a cough. You go to your local clinic and are told it is a viral infection … but aren’t prescribed an antibiotic. This is a good question, and since this is World Antibiotic Awareness Week, the topic is pertinent. Historically, antibiotics were first used during World War II. The usage of antibiotics increased during the next decades, called the Golden Age of Antibiotics. Because of the use of antibiotics, deaths from infection plummeted and life expectancy increased. Also during this time, new antibiotics were being developed; however, researchers soon learned that some antibiotics were no longer effective. This became known as antibiotic resistance. Simply explained, antibiotic resistance happens when germs such as bacterial and fungi develop the ability to defeat the drugs designed to kill them. This means the germs are not killed and continue to grow, so the next time the antibiotic is used, it is ineffective. By 2000, it was determined that antibiotic resistance was actually killing patients. According to the Centers for Disease Control and Prevention (CDC), each year in the U.S. at least 2 million people are infected with antibiotic-resistant bacteria, and at least 23,000 people die as a result because no antibiotic can treat the infection! For the past 20 years, the CDC has been encouraging providers NOT to prescribe antibiotics for viral infections. The CDC have numerous public health campaigns to protect the public against antibiotic resistance. The campaigns include guidelines emphasizing that colds are viral, thus no antibiotic is needed. Sinus infections are generally viral, and guidelines state providers should wait 10-14 days before using an antibiotic. Additionally, bronchitis is generally viral and antibiotics should not be used. This is a change in thinking for many prescribers. 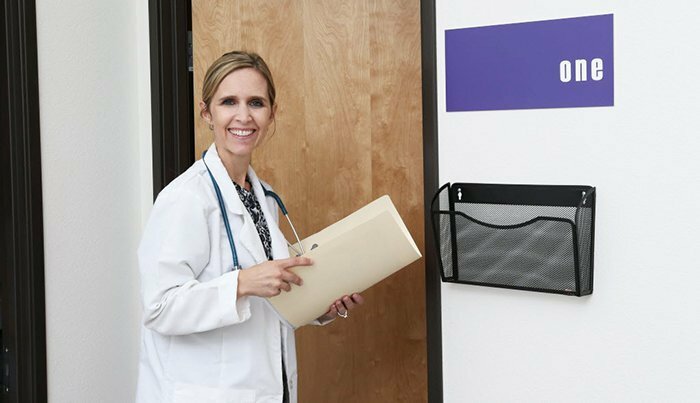 Because of the longstanding over-usage of antibiotics, it is not uncommon for many walk-in and urgent care centers to conduct audits of the prescriber’s patterns of prescribing antibiotics. These audits have caused a decrease in the number of inappropriate usages of antibiotics. Sometimes, antibiotics prescriptions have decreased by 50 percent. At the Canyon Health and Wellness Clinic, we are following the newest guidelines provided by the CDC for judicious use of antibiotic prescribing. Our practice is for your protection — you may not be able to get antibiotics when you want them, but you will be able to get antibiotics when you NEED them!